Battle cries and rebel yells rumbled The Sinclair as a crew of black metal Vikings commandeered the stage. Heavily bearded and braided, Norwegian black metal veterans Enslaved darted through the shadows, arming themselves with axes and drumsticks. Glaring menacingly into the mob before them, they readied themselves to unleash a brutal onslaught of Odin-hailing heavy metal. Founded in 1991 by frontman/bassist Grutle Kjellson and principle songwriter/guitarist Ivar Bjørnson, the extreme metal group had twenty plus years of songs—thirteen full length albums—to cover in their set last Tuesday night at The Sinclair. 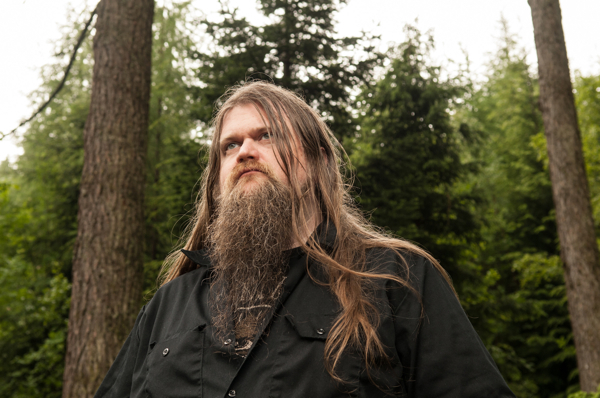 And although Enslaved helped kick start the international popularity of Norwegian black metal in the late 90’s to early 2000’s, each record since their inception has been pushing further into progressive metal territory. This is why Enslaved forges on with unstoppable vitality almost thirty years later; they dare to continuously experiment and take risks while their contemporaries refused. Their brand new release on Nuclear Blast, In Times, is certainly no exception. Led by a screeching Bjørnson, the band kicked off their set with the opener to their new record “Thurisaz Dreaming.” From drummer Cato Bekkevold’s breakneck blast beats and double bass gallops to Kjellson’s atmospheric leads, there is no argument Enslaved is still in prime form. It didn’t take long for the crowd to part, making way for mosh pits that lasted through the encore. Besides the new tracks from In Times, the setlist featured songs from their seven most recent albums, all from the 21st century. Shifting the focus away from their traditional black metal material, Enslaved relied on their post-2000 sound which has been characterized by more slowed down, almost shoegaze passages, with clean vocals to supplement the screams. The eight-minute long “Death In The Eyes Of Dawn,” a track off of the 2012 release RIITIIR, was met with headbanging galore and best displayed Enslaved’s recent experimental journey into a more melodic realm. The counterpoint between Kjellson’s deafening shrieks and keys player Herbrand Larsen’s haunting, demure clean vocals was impressively intertwined. Larsen’s synth leads fit quite well into newer Enslaved material, either layering even more tension into their satanic symphony or stripping everything away for an unexpected lull in the action. Although in few songs like “Building With Fire,” the band dragged through a handful of mid-tempo sections that were repeated too often with little variation. While Enslaved might be making progressive strides for the black metal genre, especially in Europe, it’s evident that their songwriting doesn’t quite match up to the technicality and creativity within the likes of legendary prog band Opeth or popular newcomers Between the Buried and Me. They might not possess the techmetal virtuosity some listeners are looking for in modern metal, but they often make up for it through macabre retellings of ancient Norse mythology. And what’s more metal than that? 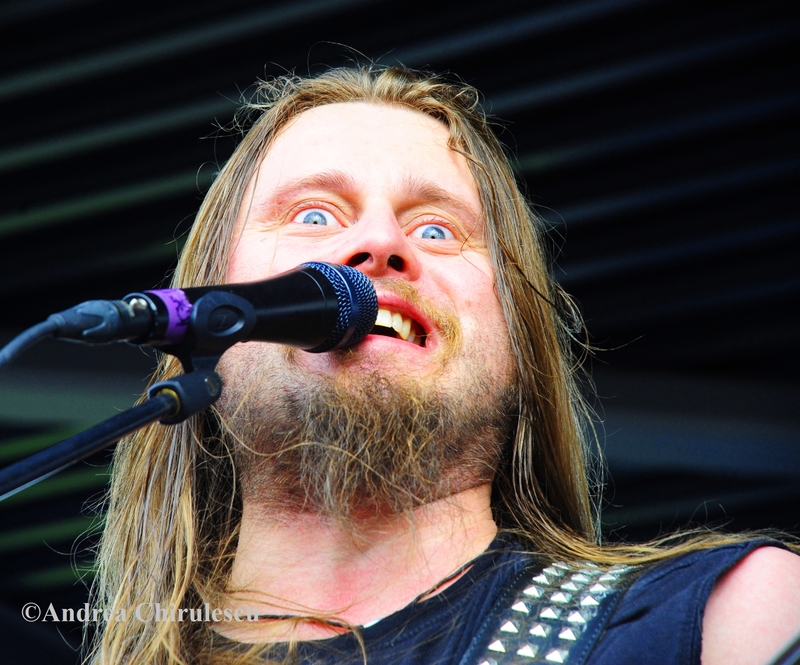 Despite looking like Viking brutes on the war path, Enslaved actually ended up being a hilarious group of musicians, mostly thanks to Grutle Kjellson’s witty, only sometimes intelligible, stage banter. Between poking fun at how serious their song names are, taking several minutes to insult French cuisine, or just talking about their Family Guy tattoos, these weren’t exactly the scariest metalheads out there. As Enslaved cranked out fan favorite “Isa,” hoisting their instruments towards the sky, they became victims of a classic “final day of tour” prank. Openers Yob and Ecstatic Vision ran onstage with signs spelling out the word pizza, and soon the brutal screams of “Isa!” turned to “Pizza!” as slices were tossed off the stage to treat the crowd.